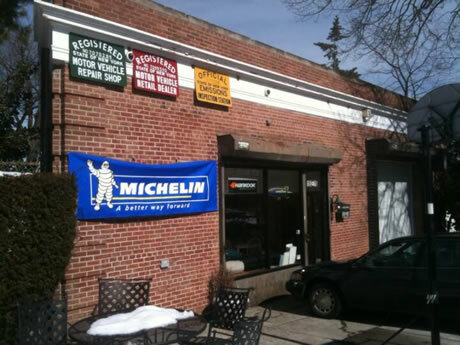 14th Road Parkway Service Center has been a local landmark in the Whitestone community for over 25 years. We are your best source for timely, accurate and reliable auto repair and service. We care about your safety and will make every effort to save you as much money and time as possible. We service and repair foreign and domestic cars and light trucks and can accomodate the needs of fleets of any size. Our service center offers state-of-the-art computer technology, expert technicians, along with our friendly neighborhood service. We provide a comprehensive warranty on all repairs and services we perform. If you just need a New York State Inspection, an oil change, a brake job, an entire engine or transmission overhauled or replaced; or if your vehicle has an electrical or computer problem that's driving you crazy, 14th Road Parkway can provide the solution and get you back on the road quickly. As a 14th Road Parkway Service customer, you will be eligible to join our Car Care Club. Your membership, for only $89.95, entitles you to hundreds of dollars worth of savings on the services you need regularly. Just for joining you will receive your first oil change at no charge, including up to 5 quarts of regular motor oil and a new oil filter (synthetic oil and special filters are extra). Savings valid for any car you bring in with your Car Care Club Card. It makes the perfect gift for friends and family. Certain restrictions apply. Learn more about the Car Care Club.